Stone Soup Shrug - Our new intermediate rating project. 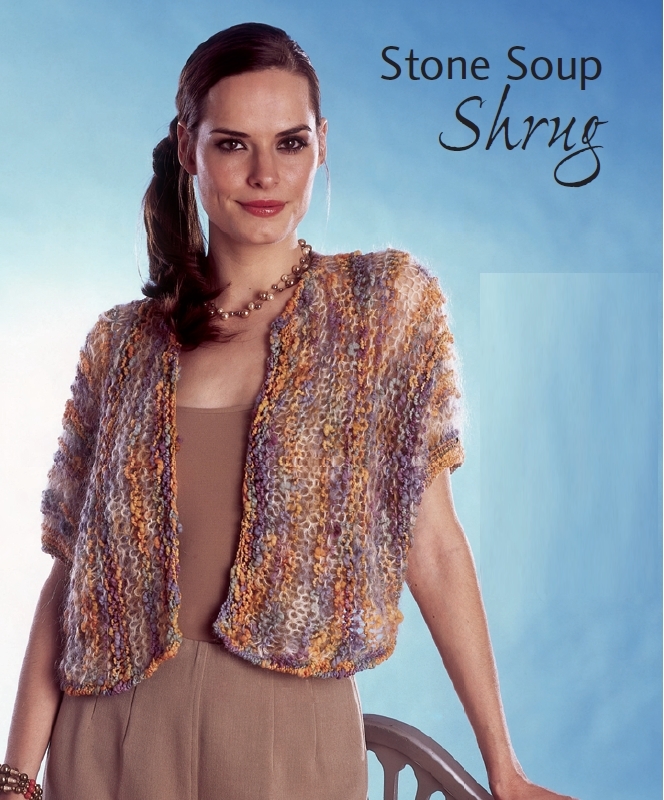 This lovely stone soup shrug is worked in Schaefer Yarn`s Little Danya. To fit Misses` size Small (Medium, Large). Directions are for smallest size with larger sizes in parentheses. If only one figure is given, it applies to all sizes. Finished Bust: 32 (36, 40) in. Back Length: Approx 12 1/2 (13, 13 1/2) in. Crochet hook in size K/10 1/2 U.S.
8 sts and 8 rows = 4 in. with Schaefer Yarn`s LITTLE DANYA OR ELAINE and larger ndls. This garment should take only one skein of either yarn, but if you need additional yarn for larger sizes you can use partial balls of yarn on hand and mix the yarns in alternating strips. This garment is worked in one piece from side to side. Knit all rows. With smaller ndls, CO 50 (54, 56) sts. K 8 rows. Change to larger ndls. Cont in garter st, inc 1 st each end of row every 8th (12th, 12th) row 4 (3, 3) times until 32 (36, 40) rows are complete, ending with a WSR Ð 58 (60, 62) sts. 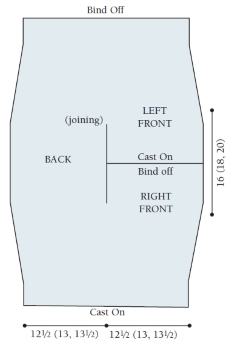 Divide for neck: Next row (RS): K 29 (30, 31) sts (beg formation of right front panel). Turn. K 12 (14, 16) rows on these sts. BO. Right Back: Return to 29 (30, 31) sts of second half. K 24 (26, 28) rows for shrug back and leave sts on ndl, set aside. Left Front: With smaller ndls, CO 29 (30, 31) sts. K 12 (14, 16) rows. Joining: Next row: K 29 (30, 31) left front sts, attach yarn to back sts set aside and k these 29 (30, 31) sts Ð 58 (60, 62) sts. Cont in garter st, dec 1 st at each end of next row, then every 8th (12th, 12th) row 4 (3, 3) times in all until 32 (36, 40) rows are completed 50 (54, 56) sts. Change to smaller ndls. K 8 more rows. BO. Stitch underarm seam 4 in. from cuff up. 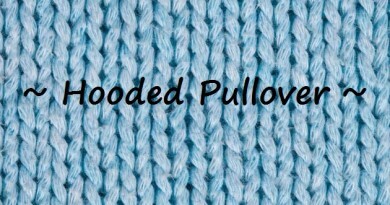 With crochet hook, rev sc around bottom and neck edges.